I very much hope that you find it both interesting and informative. This site has been designed to give a wide range of information about the activities and work of the Academy. 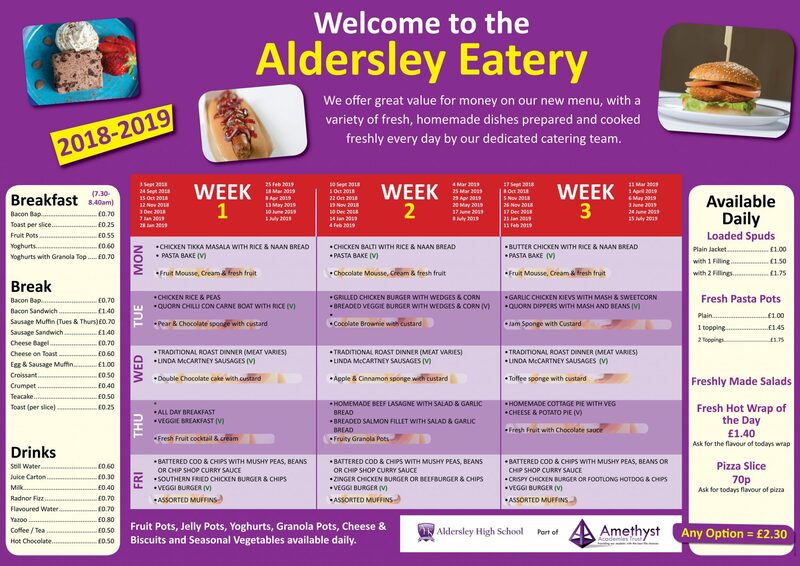 Rated good by Ofsted in 2014, Aldersley High School is a vibrant and innovative school where we promote inspiring all our students to achieve excellence. We are an 11-18 Academy housed in newly refurbished modern accommodation; a bright and stimulating place for students to learn and for staff to work. We aim to provide a learning environment in which all students feel safe, valued and known, where they can develop the knowledge, skills and attitudes to become successful learners, confident young people and responsible global citizens. We are proud of both the academic success and personal development of our students. Creative, active lessons and consistently high expectations ensure that students grow in confidence and make very good progress. This enables them to move onto Sixth Form College, apprenticeships, university or work as well-rounded, aspirational young people.